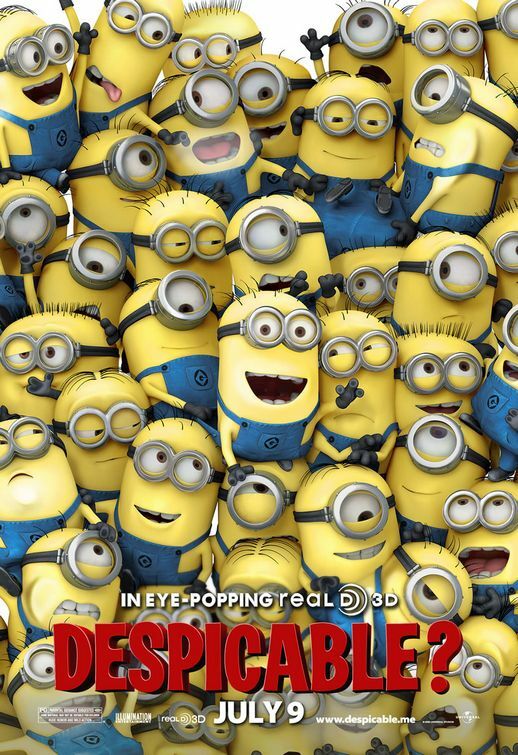 Placing a single minion on a poster can be quite funny. But here we have over 40 of them piled behind a sheet of glass. Some seem to be vying for our attention, some are fighting, some are trying to rescue their fellow minions, some are annoyed, some just seem happy to be there, and a few don't seem to have a clue what's happening. Everywhere you look something funny is going on. This poster never fails to generate a smile.